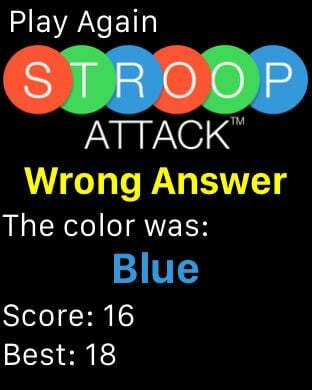 Stroop Attack is a fast paced brain training game that you can play on your Apple Watch, iPhone or iPad. 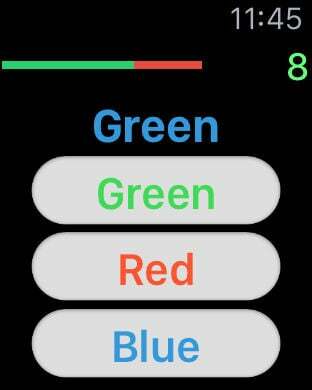 Based on the Stroop effect where the ability to name a color ("Green", "Red" or "Blue") takes longer and is more susceptible to mistakes when the color of the word does not match the name of the word. Eg. "Green" is written in red ink, or "Blue" is written in green ink. 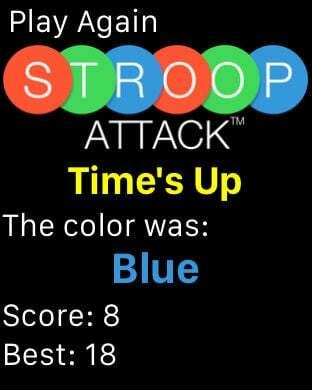 Stroop Attack lets you race the clock to see how many colors you can get right! 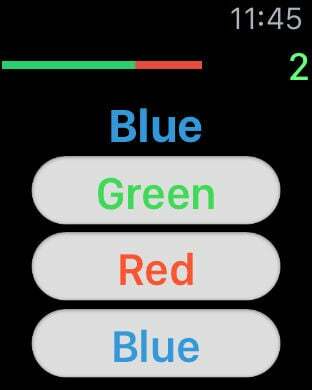 * Apple Watch OS 2 support so you can play without your iPhone! * Stats to track your fastest and slowest answer time, average score and number of games played! * Game Center leaderboards to see how you stack up against your friends and the world!